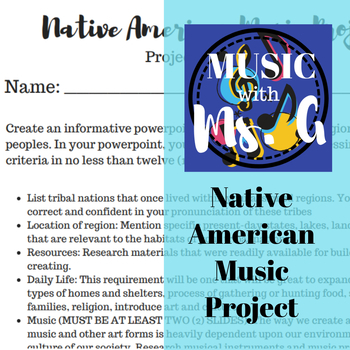 A research project focusing on the indigenous peoples of the United States. This project is great for the week (or two!) before Thanksgiving or incorporated into a world folk music unit. How, if at all, might indigenous music might be different today without European contact and colonization? Have Native American music and traditions become stereotyped, stylized, or appropriated in media today? How? This project can be tailored in length to fit your students needs. I've even added extra practice time for U.S. state recognition to gain some cross-curricular points!